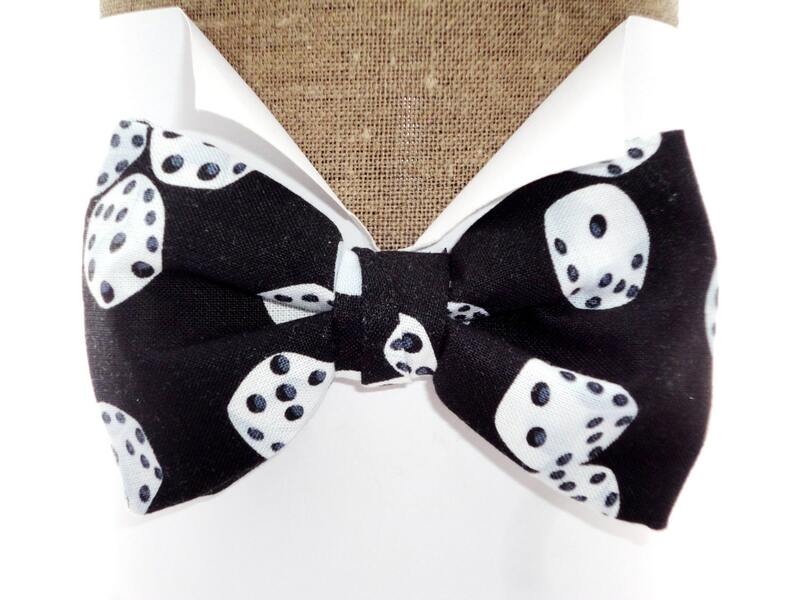 Bow tie, white dice on black, pre tied on an adjustable neck band, will fit neck size up to 20”. Also available in self tie. 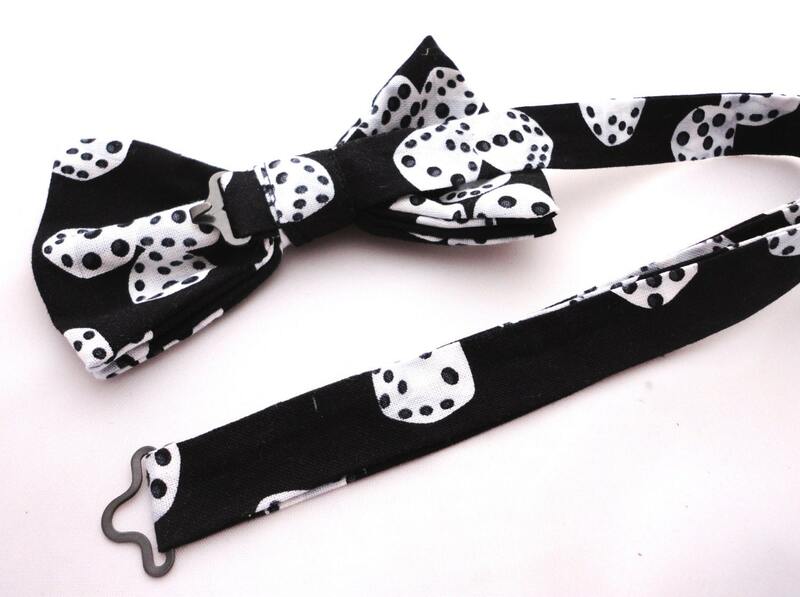 Novelty print bow tie made in 100% cotton on an adjustable 3/4" (2cms) width fabric band with a metal hook and loop fastening. Bespoke service is available for bow ties, ties, pocket squares, cummerbunds, cravats and flat caps. Fabric samples are posted free of charge. I accept all the normal payment methods. All items will be sent within 9 working days of the order using 1st class Royal Mail signed for for UK orders and tracked for all other countries. Refunds are not given when purchasing two or more of the same item. If you are not happy with the product please contact me so that we can arrange a refund minus postage. Buyer responsible for return postage. No order too small or too large.